In June 2017, Toronto hosted one of the largest ICM Congresses the world has ever seen. 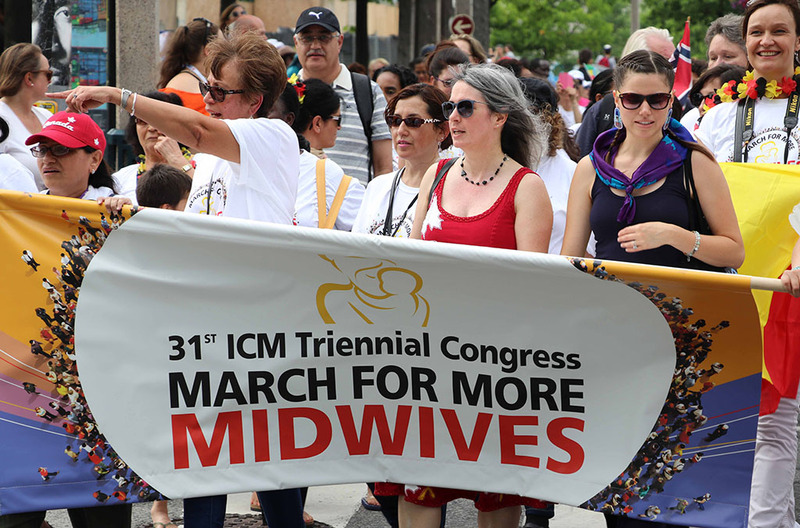 A record-breaking 4,200 midwives from 112 countries attended the 31st ICM Triennial Congress to learn, share, meet and celebrate. The 2017 conference theme, Midwives making a difference in the world, was underscored by provocative and engaging presentations. Distinguished international guests included: the former President of Tanzania, Jakaya Kikwete; the Acting Executive Director of the UNFPA, Natalia Kanem; and ICM’s Goodwill Ambassador, Toyin Saraki. There were also two representatives of the Canadian government at the ICM Congress: the Honourable Jane Philpott, Minister of Health; and Member of Parliament Celina Caesar-Chavannes, Parliamentary Secretary for the Minister of International Development. Due to this special circumstance, the Canadian Association of Midwives held CAM’s Annual General Meeting in Toronto on June 18, 2017. The 2018 CAM Conference and Exhibit will be held October 17-19 at the Hilton Lac-Leamy in Gatineau, Quebec. ICM President Frances Day-Stirk, CAM President Katrina Kilroy and NACM Co-Chair Evelyn George lead the 'Walk for More Midwives' in the streets of Toronto, at the 2017 ICM Triennial Congress. The ICM Congress represents and works to strengthen professional associations of midwives throughout the world. This international event hosts representatives from 116 midwives’ associations, representing 102 countries across every continent! The next ICM Congress will be held in Bali, Indonesia, in 2020. Hope to see you there!